Thank you for selecting New York Cement Tile for your project. Please be aware that cement tiles are a hand made product, and will not be identical from piece to piece. 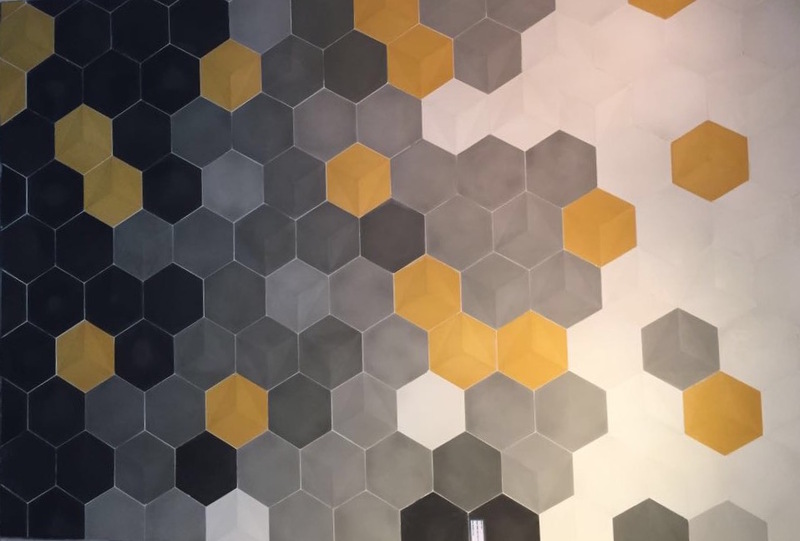 A slight variation in shade, tone, or size, as well as minor imperfections are natural and add to the beauty and appeal of these tiles, but by no means compromise the durability, quality, or beauty of your final product. We recommend you add 10-15% extra to your order to compensate for cuts, waste, and damages. We will not be held responsible for discrepancies in quantities. As we receive your order, a copy of your quote will be sent to you for approval. Once we have a confirmed and signed order, we begin production. Minimum Order Policy: Minimum order for all Non-stock and custom orders is a 100 sq ft. Any orders smaller then 100 sq ft, will be taxed an additional 25-35% charge. Lead Time: In stock tiles usually ship within 2-3 business days of order time. Special and custom orders typically take 8-12 weeks. ETD WILL BE PROVIDED AT THE TIME ORDER IS PLACED. Shipping: Smaller orders are shipped trough UPS or FEDEX. Larger orders are shipped via fright company. Payment Terms: A 50% non-refundable deposit is required for all custom orders, in order to begin production. The remaining balance will be due upon order completion. Once full payment is received, we will ship out your order. Sales Tax: Sales tax will be charged on all orders within the state of NEW YORK. Sales tax can be waived with a valid resale or tax exemption certificate. Damaged Merchandise: All products leave our warehouse in good condition, and are properly packed. Customer is responsible to inspect order once received. Please note, any damage must be noted on fright company bill of delivery at the time of delivery. NO claims for damage will be accepted if not noted at time of delivery. Pictures will be required to assist in claim for damaged product. All claims regarding quality, color or quantity must be resolved prior to installation. Claims must be made in writing within 3 days of delivery. Returns must be made in original packaging and will be credited upon inspection in our warehouse. Costumer is responsible for return cost. By ordering from New York Cement Tile, costumer agrees to all terms and conditions above.